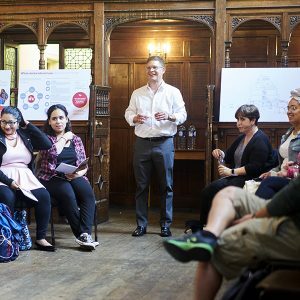 Last month, Gregory Acevedo, Ph.D., associate professor of social work, joined students from the Graduate School of Social Service (GSS) on the Lower East Side—and then in London—to lecture on the origins of the settlement house movement and examine how settlement houses have evolved along with the communities they serve. Dana Marlow, Ph.D., associate clinical professor of social work, joined Acevedo as a lecturer, while Nancy Wackstein, GSS director of community engagement and partnerships, helped coordinate site visits on both sides of the Atlantic. “Most of the U.S. social welfare history traces back to England, starting with the poor laws from the Elizabethan era,” said Acevedo. England gave rise to two traditions that would become the basis of social work as a profession: the charity organization societies and the settlement houses. Settlement houses were created as a new way to care for the underserved: Activists “settled in” to live among the poor, better understand their needs, and to help out. The charity organizations promoted the casework tradition, where social workers would come into the community as day workers to assist individual clients. The settlement house tradition sprung from religious ethos at the Universities of Oxford and Cambridge. Students from the universities were recruited to live in the communities they served. “The brilliance was that it was the first innovation as a community-based practice model where practitioners would live among the population,” said Acevedo. Social Work student Monica Griffin said she didn’t realize the extent to which settlement houses were an integral part of the communities they served. For her part, she said that she would like to work on policy one day, but not until she’s spent time working directly with clients. Dana Marlow, associate clinical professor, also lectured during the London tour. 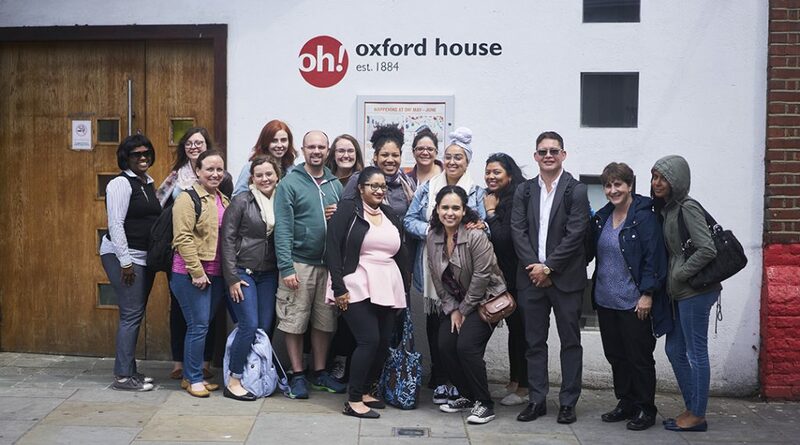 Among the first settlement houses were Toynbee Hall and Oxford House, both of which Fordham students visited during their trip to London this past June. The first populations that Toynbee served were Jewish and other immigrant populations; now it primarily serves a Bangladeshi population. The students also visited a local mosque with robust community programming. Acevedo said that he was very interested in highlighting for the students the historical and contemporary role that universities and faith-based institutions have in social welfare and reform, and also in seeing how institutions and professions adapted to changing populations and contexts. 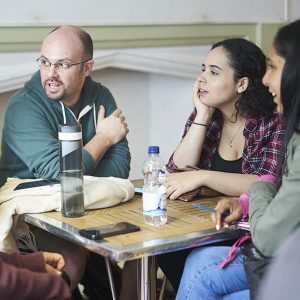 Students met with CEOs from both of the London settlement houses they visited “to look at the dollars and cents as well the programming,” he said, adding that even some of the most established settlement houses have closed over the years. Griffin, who had left a career in business to pursue her M.S.W., said that meeting with CEOs proved to be a very important part of the curriculum. Acevedo said that despite the budget constraints, these organizations manage to stay true to their mission. 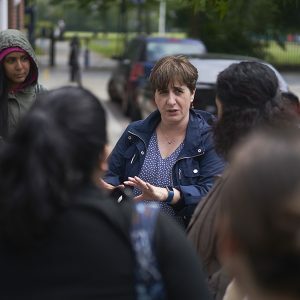 “Settlements houses have changed the type of services they offered over the years, but places like Toynbee Hall continue to work on national and local policy, as they always have,” said Acevedo. He added that after more than a century, Oxford House nearly closed too. The difference between the physical plants of Toynbee and Oxford was stark. Students visited Toynbee’s sleek offices and then saw buckets catching leaking water at Oxford House. But the organization recently turned a corner by introducing social enterprise components and other innovations to their business model.